Enjoy the best inspirational, motivational, positive, funny and famous quotes by Amy Robach. Use words and picture quotations to push forward and inspire you keep going in life! 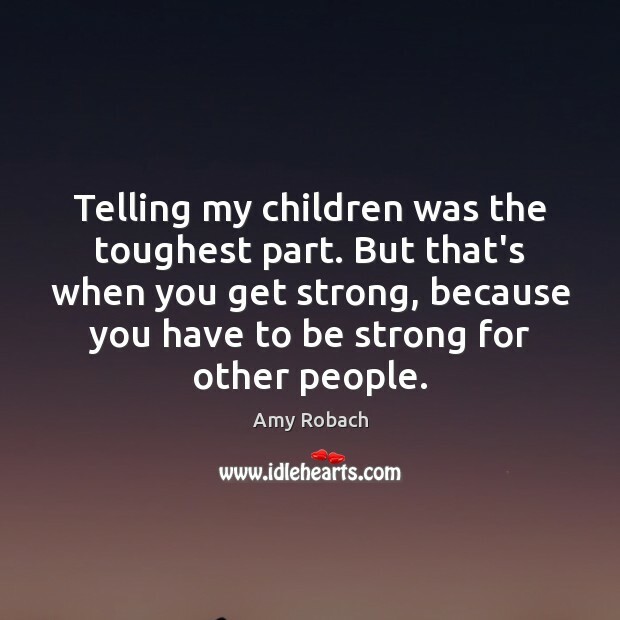 Telling my children was the toughest part. But that's when you get strong, because you have to be strong for other people. The broader question if Sarah Palin becomes vice president, will she be shortchanging her kids or will she be shortchanging the country? 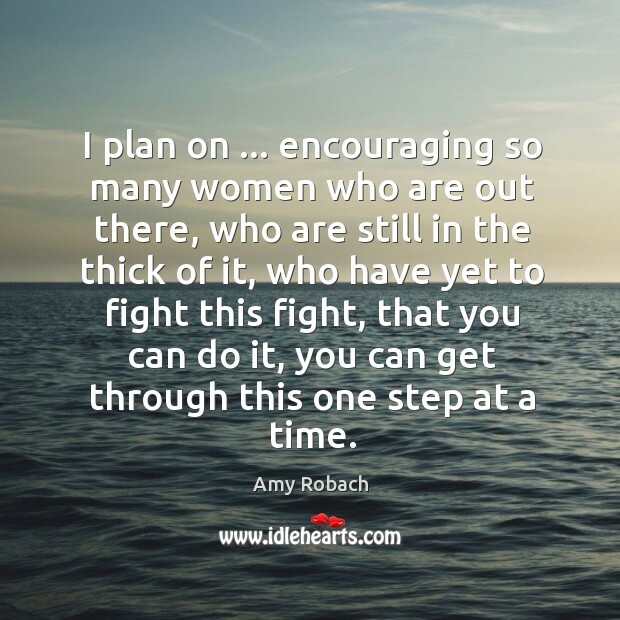 I plan on ... encouraging so many women who are out there, who are still in the thick of it, who have yet to fight this fight, that you can do it, you can get through this one step at a time.